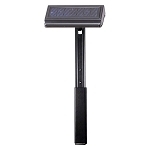 In response to our customer requests, we offer a 3-line memorial plaque. 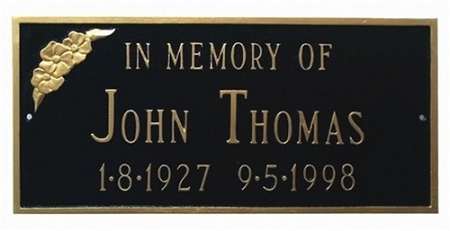 This memorial plaque is hand cast of sturdy, rust-free recycled aluminum. It is exactly the same as our 2-line memorial plaque, except that the decorative accent in the left corner is removed and the text is removed to allow space for the first line. Made in USA. NOTE: On this plaque, the decorative accent will be removed from the upper left corner to make room for more text. The "In Memory Of" line can be replaced with your text (up to 17 characters). Q: Can you take the flower off? I want three lines. A: On this plaque, the decorative accent will be removed from the upper left corner to make room for more text. The "In Memory Of" line can be replaced with your text (up to 17 characters).